The Royal Forest of Dean is a large wooded landscape situated in rural Gloucestershire. The area is of great historical and cultural significance and the area is steeped in mystery and intrigue. The area is popular for cycling, hiking, fishing, caving and other outdoor pursuits. There are two rivers which run either side of the plateau, The River Wye in Herefordshire and the River Severn. Tourists who visit the area can find accommodation in Gloucestershire or accommodation in Herefordshire which is nearby. Popular Herefordshire accommodation can be found in the gorge of Symonds Yat which is divided by the beautiful River Wye. 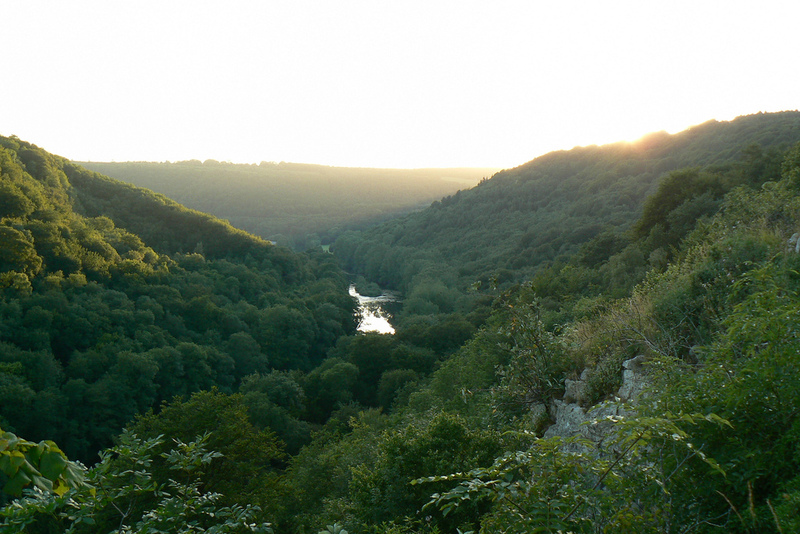 One side of the gorge is in Herefordshire and the other is officially The Forest of Dean. The Forest of Dean and Symonds Yat are two ancient areas of English woodland and there are many ancient forts, megalithic monuments and even barrows have been identified. The area was inhabited by the Britons and Symonds Yat is said to be one of the oldest inhabited places in Britain due to its ideal sheltered location by the river and network of caves. The area was once popular with miners, and many mines and man made caves still exist as a testament to that industry. Lime Kilns can also be found scattered within certain forested areas. The trees that make up the Forest of Dean comprise of deciduous and also evergreen trees, such as Oak, Beech, Ash, Sweet Chestnut, Pine, Norway Spruce, Douglas Fir, Yew and Larch. There are many wild flowers that can be seen throughout the year in the forests, such as foxglove, bluebells and primrose. An architectural attraction is the old Speech House. The Speech House is said to be one of the most haunted buildings in Britain and is situated near to Coleford and Cinderford. It was built in the 17th century as a 'Court of Mine Law' or 'Court of the Speech'. 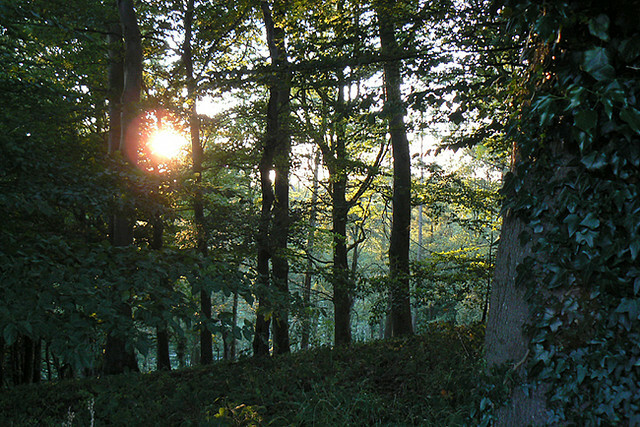 Wildlife is one of the main attractions for walkers and hikers in the Forest of Dean. Birds such as Pied Flycatchers, Redstarts, Wood Warblers, Hawfinches, Goshawks and Peregrine Falcons draw in bird watchers. A variety of butterflies and other insects can be seen, such as wood ants, glow worms and dragon flies. Other larger animals inhabit parts of the woods and it is not uncommon to see wild boar and deer. There are plenty of fascinating routes which can be cycled or walked and which take in places of interest such as: Cannop Ponds, Clearwell Caves, Dean Forest Railway, Puzzlewood, various iron works, The Sculpture Trail, Symonds Yat and a huge network of remote woodland trails. Symonds Yat is worthy of a few days exploring with many caves, a river, dense woodland and all manner of outdoor pursuits such as fishing, rock climbing, canoeing, hiking, mountain biking and caving. The area caters well for tourists and people in pursuit of the great outdoors, the local tourist information board will offer advice on accommodation Herefordshire, Gloucestershire and within the Forest of Dean itself. There is much to see in this beautiful part of England and it is mainly unspoilt. Can certainly recommend puzzlewood, especially if you have kids that are fans of BBC Merlin or Dr Who as they do filming there. We stayed just down the road in Hereford at Meredith Farm campsite - a great quiet site that allows camp fires. We went to puzzlewood last year and it was really brilliant, such a bizarre little wood, it was nothing like I was expecting and to be honest I think the adults enjoyed it as much as the kids. The weird moss covered rock formations are quite unique. excellent! it's really worth reading! Sounds beautiful! Any particular walks you recommend? For a decent hike, I'd say sart in Staunton in the Forest of Dean, head towards Symonds Yat Rock, down to the Saracens Head Inn or The Royal Hotel for refreshments, carry on down to the Biblins footbridge, carry on down towards King Arthurs cave and back up towards the old quarry (last time I was there Peregrins were nesting), back down to the river Wye, on up to the Saracens and tale the old hand ferry back across and on up to Staunton. I'd say you're looking at a good day's hiking there. There are also two old train tunnels around here, the best one gies through Coppets Hill and is stunning, that would be anothre route to do, so start from Kerne Bridge instead of Staunton. I am getting in touch with you as I am looking for quality websites such as such as yours, to place some adverts on your website and would like to know if this is something which would be of interest to you? There are some fantastic places to visit in the UK, much like Herefordshire, the Forest of Dean in Gloucestershire is a fantastic place to go to. The Clearwell Caves are a must see, and not that expensive considering how stunning they are. Adults can go for around 5 pounds I think.